Since Jan. 1, Pershing Square Holdings has gained 31.9 percent, making it the best start to a year in the firm's 15-year history, Ackman wrote in a letter released on Monday. "We attribute our improved performance to initiatives that we have implemented over the last 18 months," he wrote. With his own transformation on firmer ground, Ackman said he can again help others. "Pershing Square, as a large influential investor with a track record for successful turnarounds, can provide management with the required runway and necessary long-term backing to succeed." 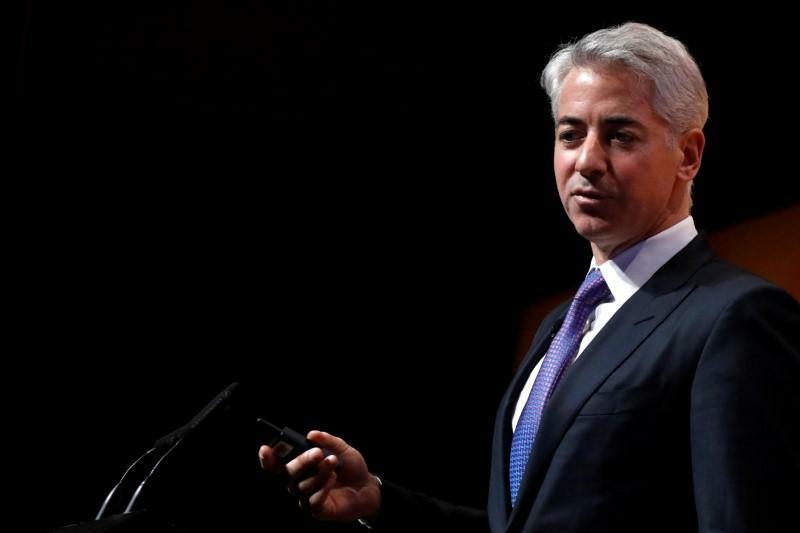 Now Ackman's publicly traded fund, Pershing Square Holdings, makes up roughly three-quarters of the firm's $8 billion in assets and the capital is stable because investors have to sell to another investor before exiting. Ackman and his colleagues now own more than 20 percent of Pershing Square Holdings' outstanding shares, he wrote. He said he has a lot of influence but prefers to use it "sparingly." "Occasionally, we will ask a question, share an idea, or raise an issue. Most of the time, our CEOs rarely hear from us," Ackman wrote, saying they call him. "We view our job as oversight, not day-to-day management."